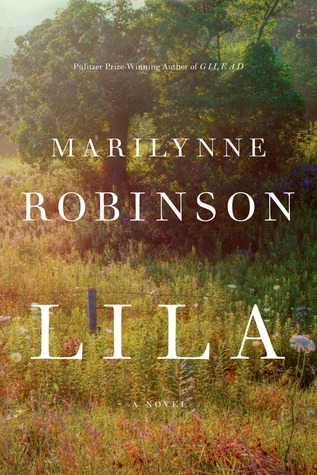 I recently picked up Gilead by Marilynne Robinson and was stunned by the artistry of it. Robinson can weave together a tale and truth, grace and reality, love and hardship so well! I force myself to read her work slowly, to take in each word and try to truly realize what she means. She is that kind of writer. This year she released a new book, Lila. It is a different perspective of the marriage detailed in Gilead. Lila is the wife of John Ames, the main character of Gilead, and this book named for her is about her back story and how she came to the town of Gilead and proposed to the elderly pastor. Lila faces lots of hardships before coming to Gilead, none told in too much detail but the full weight of them is there between the lines. The theme of homelessness returns in this book, which seems to be a topic that’s on Robinson’s mind a lot. Lila starts reading a Bible when she comes to Gilead. She grapples with the fact of what happens on earth coexisting with the truths about a good and just God. I wouldn’t say she draws very clear conclusions, but she makes progress as the book goes along. The story line is amazing, and the way it weaves perfectly with Gilead is mind blowing, kind of like the 2nd and 3rd Bourne Trilogy movies, when you realize it’s all happening at the same time. That sound of settling into the sheets and the covers has to be one of the best things in the world. Sleep is a mercy. You can feel it coming on, like being swept up in something…You had to trust sleep when it came or it would just leave you there, waiting. If you haven’t read Robinson before, start with Gilead. I haven’t read Home, but I plan to very soon!